Opened in April, 2017! 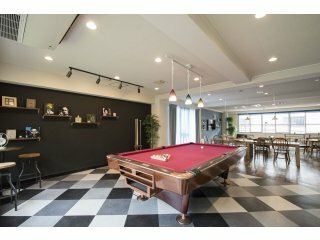 The second sharehouse "Firsthouse Mizonokuchi 100+b" is opened in Mizonokuchi which is one of the most popular area close to Tokyo. We have actually many customers whom we couldn&apos;t show the first sharehouse in Mizonokuchi because it is popular and has been occupied throughout the year. So we opened the new fashionable sharehouse to meed the demand. You will have a huge playing space with billiyard and a living room with a relaxing atmosphere. Shower rooms are separeted between men and women. There are 4 types of room so that you can choose what you like.